When you spend over 25 years in an industry, it’s inevitable that you’ll see some interesting patterns appear. I want to share some of those insights with you today, based on my experience in working with builders and their customers for over two decades. So how do home buyers choose — or not choose — to invest in design studio products, and how can you use this information to generate more profits and happier customers? You might think that the biggest factor that determines whether someone will choose to buy or “trade up” is price… but that’s not the whole story. In the design studio, as with all other purchases, our customers are assessing price through the lens of value — that is, what they feel they will receive in return for purchasing an item. If we don’t help our customers make sense of price (by explaining the benefits, values and features of each product and how that aligns with their design preferences and lifestyle needs), then people are going to default to relying on price to make their decision. The exceptional Cook Brothers Homes’ Design Studio in Tennessee is delighting buyers on a regular basis. This isn’t good for the builder, and it’s not good for the customer either — just because a customer is satisfying their desire to “spend less” or “save” by selecting a lower-priced product, it doesn’t mean that they will actually be satisfied with their purchase decision. Ultimately, we want our customers to be happy and choose products that serve their needs and preferences. Allowing them to choose based solely on price isn’t what’s going to get us there. So how do we help customers accurately assess value and make a confident, informed investment — one that they’ll be delighted with and truly satisfied by? In last week’s article, we spoke about the importance of understanding our customers’ needs, preferences and desires, and then appealing to those desires through logic and data — to help customers move toward a decision. Let’s dig into this idea a little more. What are the components that drive decision-making? Well, based on 16 years of working exclusively in the world of design studios, I’ve developed my own personal theory of design studio decision-making. My theory is that decision-making is made up of two distinct parts: comprehension and preference. Your goal is to get your customer quickly to a place of comprehension (which means that they understand the scope and details of the choice available to them) so that they can then focus on the more enjoyable — and less stressful — task of choosing their options, based on their preferences within the selection you’re able to provide. Contrast this to what often happens in the design studio: customers are getting stuck. Without guidance from a design studio consultant who knows the most effective way to lead them smoothly to a place of comprehension, customers will struggle to make decisions because a lack of understanding is getting in the way of selection. If you find that your customers are stuck in their decision-making, it’s worth revisiting their level of comprehension before diving back into preferences. A metaphor to illustrate this point: If you were standing at an ice cream parlor, and had a hankering for a choc-chip cookie dough ice cream before you walked in, you would first need to comprehend your choices before you could confirm that preference and make your order. To put it simply: you won’t feel able to make a confident decision about what you want until you understand what’s available. Comprehension must occur before preference can be finalized. So how does preference fit into this equation? At Success Strategies, we define preference as “matching known discernable product attributes to stated wants and needs.” This means that preference only makes sense within the context of the choices available. This is why comprehension is so important and must be prioritized before we delve into what the customer wants and needs. 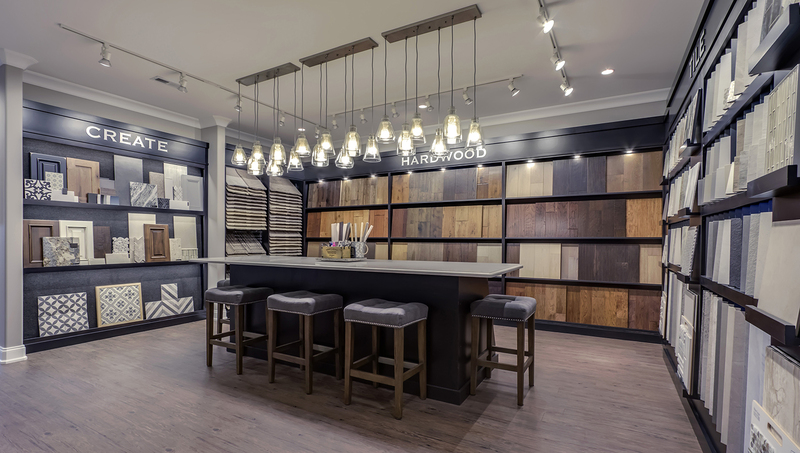 For example, we might learn that they prefer a certain wood finish or want a “modern farmhouse” kitchen… but how we do help our customers make sense of those preferences when they’re presented with so many different choices and decisions? This is where comprehension comes in. Throughout the selection process, customers can easily become “stuck” in the level of choice and information available to them, and if we don’t make the information digestible and their choices simple, the entire decision-making process slows right down. From there, things can begin to deteriorate quickly: customers feel pressured, stressed, and lose confidence in their decisions (and might resist making a decision at all; or default right back to the included feature because they’re confused or overwhelmed). Which, again, isn’t a recipe for satisfaction. Being able to memorize the specifications of every product in the studio isn’t worth much if you’re not able to present the information to customers in a way that is simple, digestible, and, most importantly… helps them put this specific information into the context of their stated desires and needs. 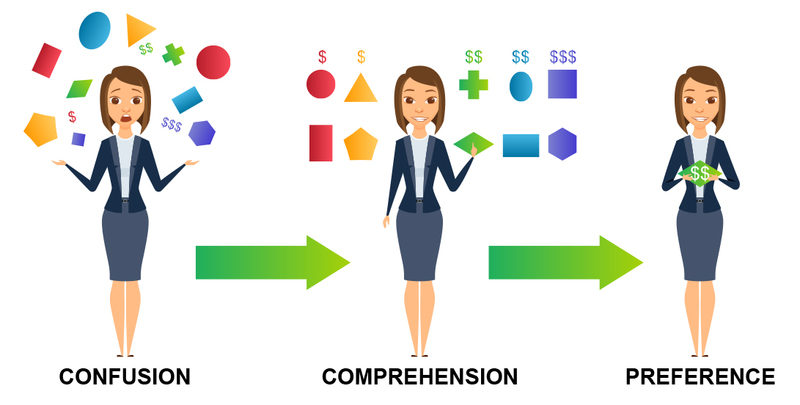 Helping your customers to develop both comprehension and preference is how you establish value and support your customers in becoming confident and satisfied decision makers. When we present information in a way that focuses on comprehension, our customers begin making quick and easy decisions that feel like wins. They gain momentum, their confidence builds, the process becomes fun and something totally achievable — which creates excitement and a sense that everything is going to work out with their new home. So those are the big ideas: before finalizing preference, make sure your customers have a solid comprehension of the choices available to them. Then, you’ll be able to explore their preferences in a way that makes decision-making much easier, because you’ve laid a foundation of comprehension and understanding — which creates confidence for your buyers. In contrast, a lack of comprehension always equals confusion and uncertainty. You’ll learn how to cut through confusion to quickly get your customers to a place of comprehension and understanding, turn options into “must haves”, and overcome even the trickiest of objections.